2012 was the best year I’ve had. I climbed out of my rut, maintained my dearest friendships, explored more bits of North America, and incorporated more sparkles into my wardrobe. It has been a beautiful year and I can’t believe it’s over. Below is my annual bullet recap. 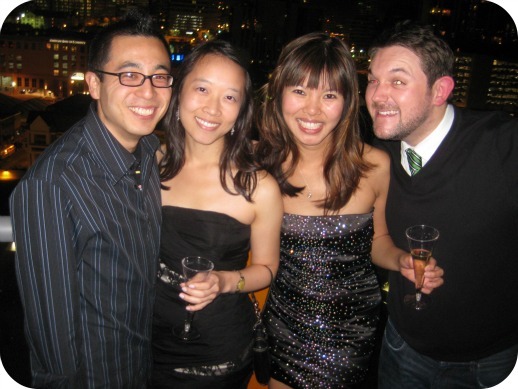 Rang in the new year with friends and Alan at a friend’s downtown condo. I mailed in my sketchbook to The Sketchbook Project. I decided to take baby steps out of my rut. Taught Bob to roll over. 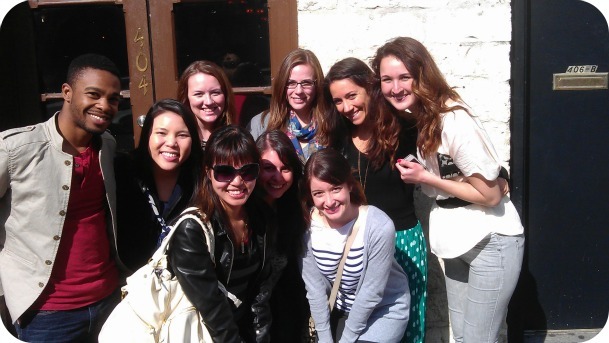 Had a fun blogger meet up centered around Austin’s Livestrong Half Marathon. Kim and I exchanged care packages in the name of love. Mine from her is pictured here. Hosted a fun sleepover with Naz while Alan was in Vegas for a bachelor party. Acted as one of twelve judges at the That Takes the Cake cake competition. I taste tested 36 desserts. This was a mini dream come true! I climbed Enchanted Rock for the first time with my coworkers on Leap Day. Attended wedding Bill’s and Jennifer’s wedding. Bob met my parents for the first time. I taught Bob the “Bang Bang” trick. Alan and I celebrated 4 years together at one of our favorite restaurants. Went to a few SXSW music shows. I took a week off from work because I realized I was at my max limit of PTO. It was a productive staycation. I bought Alan and I Kevin James tickets for our anniversary. He was hilarious. It was the first time I experienced his standup. Went to Houston for dad’s birthday. Kim and I played love vandals and left paper cranes around Houston’s Historic Heights. Planted 4,000 tree seeds at the Wildflower Center as part of my volunteer resolutions. Had a shooting range date with Alan. Took a weekend road trip to Arkansas with Treavor, scratching out a new state in my 50 states goal. 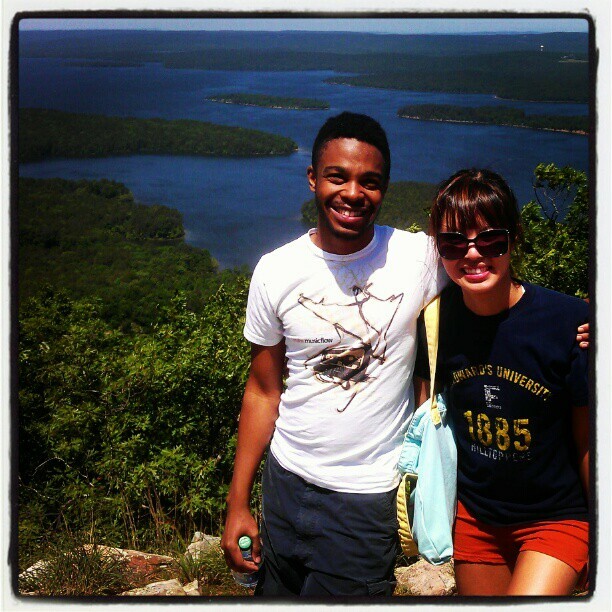 Treavor convinced me to climb a mountain in Arkansas. Best Dudie Friend visited my Sketchbook in Brooklyn. He sent me the photos from his disposable camera. I kind of loved the fuzzy quality. Had a lot of fun dreaming and journaling the Prosperity Game. 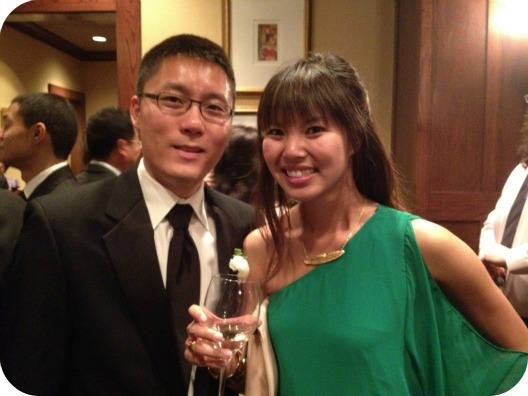 Went to Bloggers in Sin City and met 59 other bloggers, a handful I had been hoping to meet! It was a fantastic time and I smile every time I think back on that weekend. 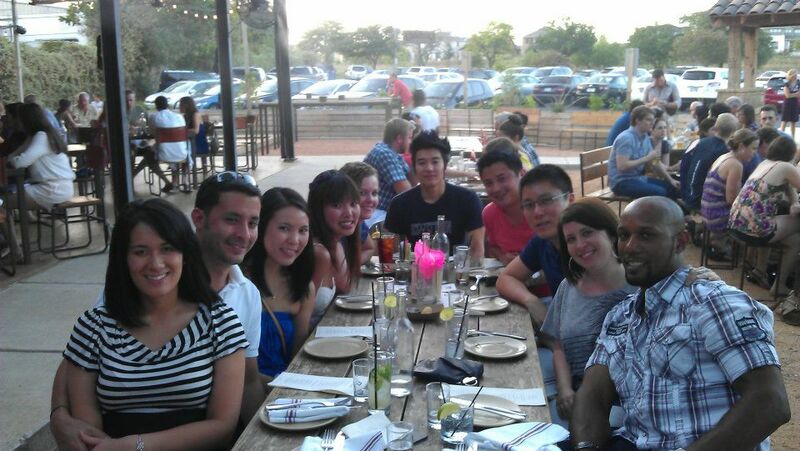 Began training to be a Dishcrawl Ambassador. Went to book signing party of Michael Natkin’s Herbivoracious. Hopped on a trolley and toured Austin’s mac and cheese scene with Google Local. Celebrated National Donut Day by going to a 24 hour donut shop past midnight. I love a good simply glazed donut. Saw Snoop Dogg in concert. It was a hard month and the sweet gals from Totes Awesome Channel were in the know so they surprised me with gorgeous delicious cupcakes! Reunited with my half sister in Pittsburgh. It was my first visit to Pittsburgh but not my first time in Pennsylvania. This was one my most profound experience in 2012. Helped the philanthropy committee of Austin Food Bloggers Alliance host a charity event benefitting Bake A Wish, a local nonprofit. Accepted a new job position at a software company the day before my birthday. Treavor came to visit for a night and we saw one of the best movies of 2012, Magic Mike. 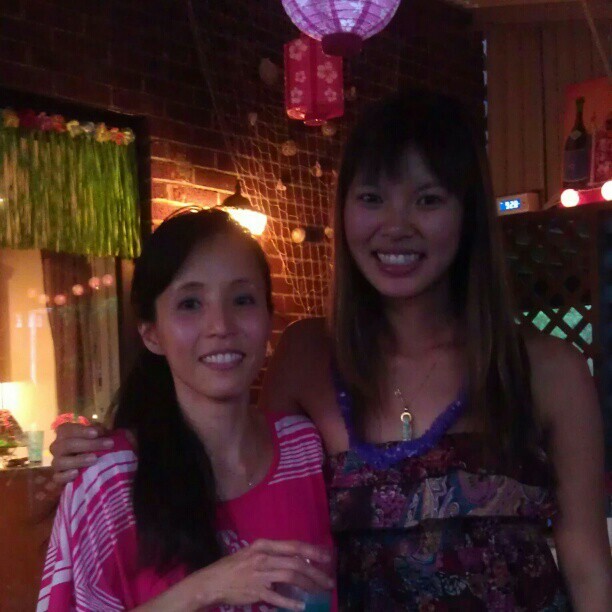 Celebrated my 29th with sweet friends with dinner and drinks. Moved to a new apartment with Alan and Bob. Started a new job where one of my college friends also works. 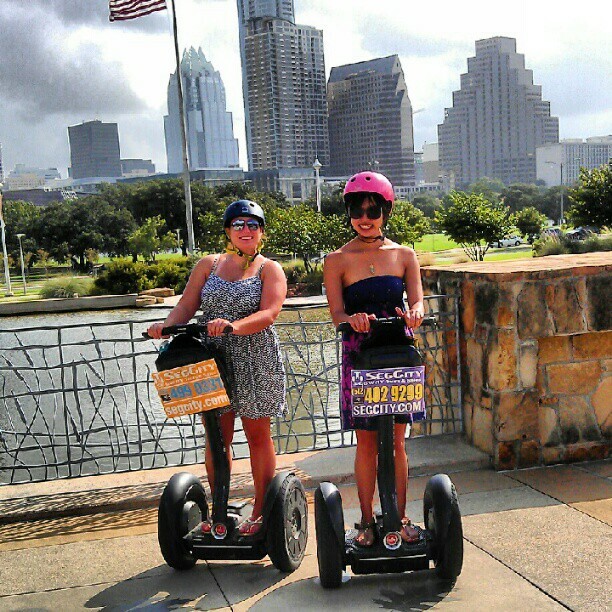 Rode my first Segway with Brandi. I’m a slowpoke on the Segway. Participated in my third year of VEDA (Vlogging Every Day in August). 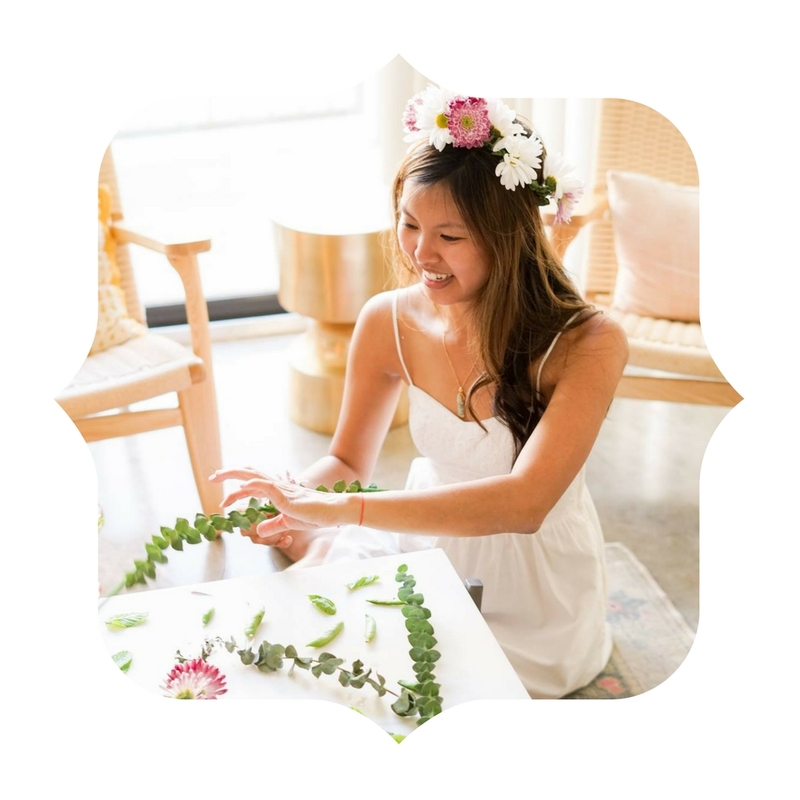 August was super stressful with moving, starting a new job, VEDA, and planning and hosting another Dishcrawl. Whew! Suki came to visit me and Treavor spent the night the first night she was in. Mini BiSC reunion! Best Dudie Friend (BDF) visited for an entire week! It was awesome, except for the morning when I was supposed to take him to the airport and he discovered my car was stolen. 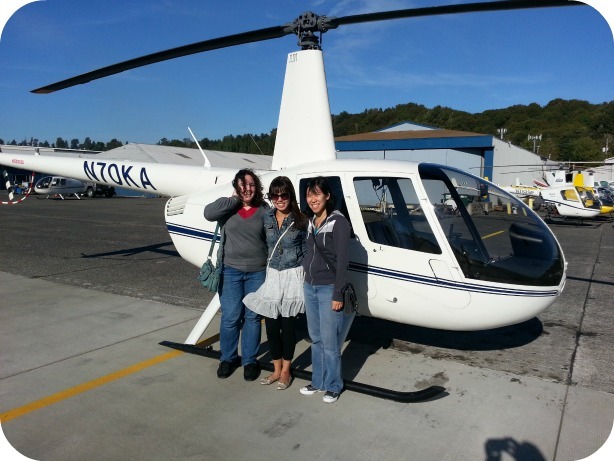 The same week my car was stolen, I left for Seattle to meet up with BFF, Jennifer, and MaryAnne. In Seattle, I rode my first helicopter, put gum on the gum wall, and ate squid intestines, all in good company. Took a day trip to Canada from Seattle and crossed a suspension bridge three times. I went to the Austin Sketchbook Project exhibit with an old friend. Said hello to my sketchbook. Bought a new to me car! Gave Alan 28 gifts for his 28th birthday, on the day of his birthday we went to the West Virginia vs Texas football game. 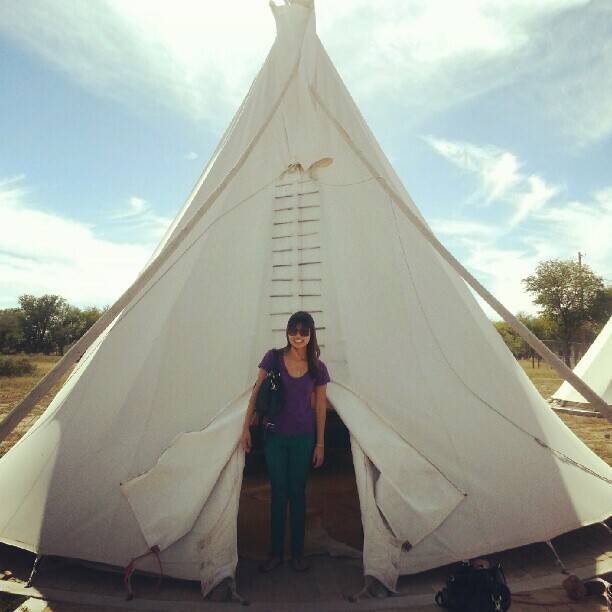 Went to Marfa with Kim (and Oprah and Gayle and Ryan Gosling) and spent the night in a teepee. For the first time in ten years, I didn’t dress up for Halloween and go out. I had an awesome time avoiding the drinking and the parties. Is this a sign of getting older? I think so. Blogged every day in November for National Blog Posting Month. This was my third year doing this. Always a challenge. Had a potluck picnic for the 2nd consecutive year at Hermman Park. 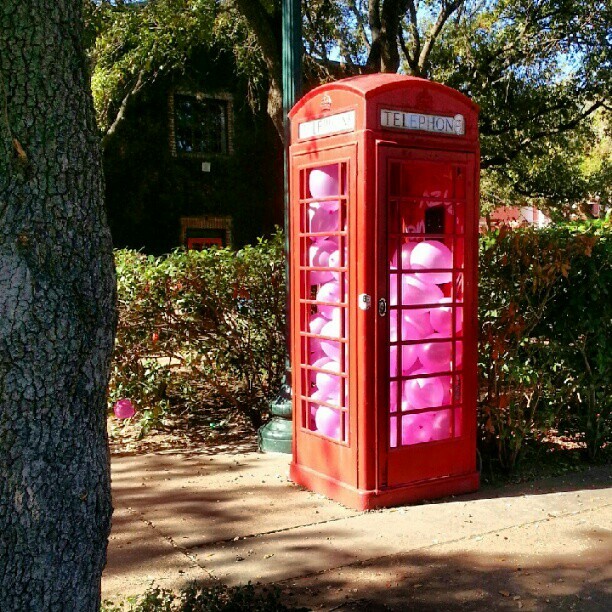 My friends and I stuffed a phone booth with balloons. Went to Texas Ren Fest with Brandi and Jessica. Went to my first Reading Party, hosted by Neville. I read Stumbling on Happiness. My old boss threw a belated going away party for me at a bowling alley. It was so great to see my old coworkers again. They are a fun bunch. Had a morbid date with Cindy and explored the National Museum of Funeral History. It’s actually a fantastic museum with a fascinating and impressive collection! Post to come soon. Trail of Lights returned to Austin and I walked it with Alan and my little (Big Brothers Big Sisters of America). They met for the first time this night and it was great to see them hit it off. Little said Alan has swag. Had a Love Actually date with Anita and Ashley complete with tomato soup and grilled cheeses. Enjoyed crepes for lunch on Christmas Eve with Davey. Had hot pot with BFF and her brother and mom. A Christmas Day tradition! Kim and I had our balloon release date for the 6th consecutive year. We didn’t release balloons this time (did you know there is a global shortage of helium?). 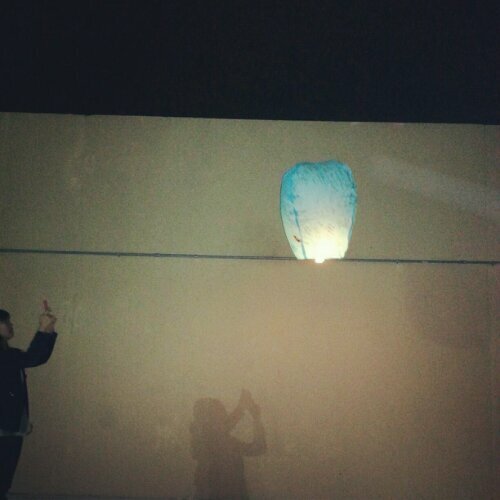 We did Chinese paper lanterns. Tonight we’re ringing in the year at a friend’s place and playing board games. I’ve been having board game hankerings! So that was my 2012. It was fantastic! 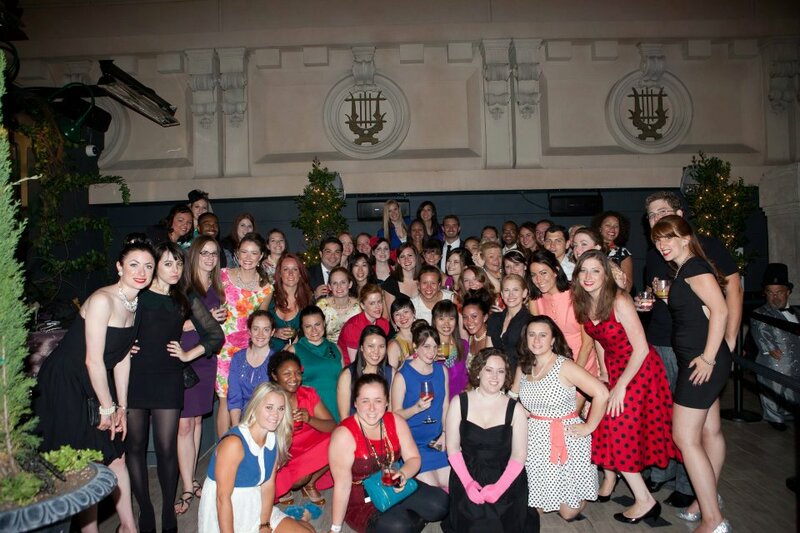 Hope you have a great end of year tonight! Question: What are five highlights that happened in your 2012?